This past summer was a real tester for a plant’s ability to withstand drought conditions. With no significant rainfall since spring, and water restrictions in full force for most of the summer, it’s interesting to see which plants were able to cope, and which weren’t. 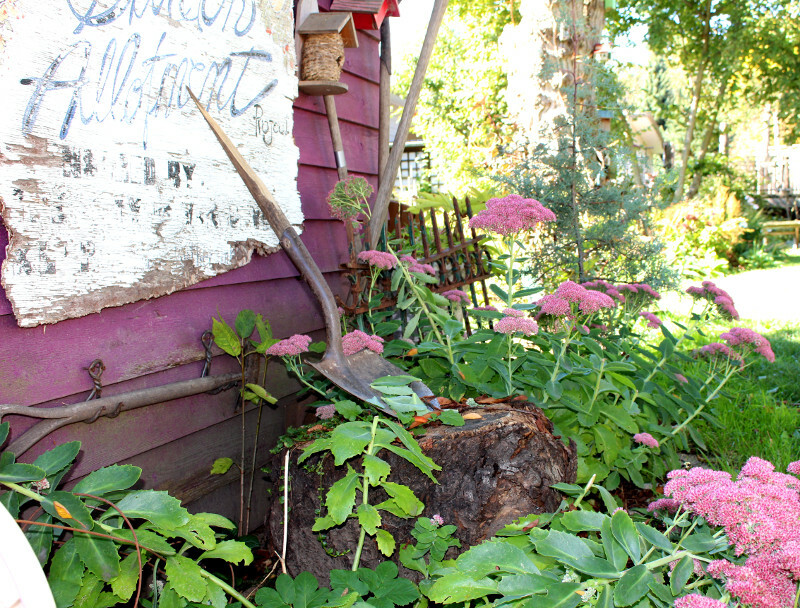 I captured some shots of how plants did throughout the summer. But before looking at those, what is it that allows some plants to thrive in drought conditions and causes others to suffer? Small foliage: generally, the smaller a plant’s leaf the more likely it is to be able to cope with drought. Plants lose water through the surface of their leaves, in a process called transpiration. By adapting its leaves to be small or narrow, a plant is reducing the amount of water lost through transpiration. One such plant is Rosemary; this Mediterranean herb has small, needle-like leaves. 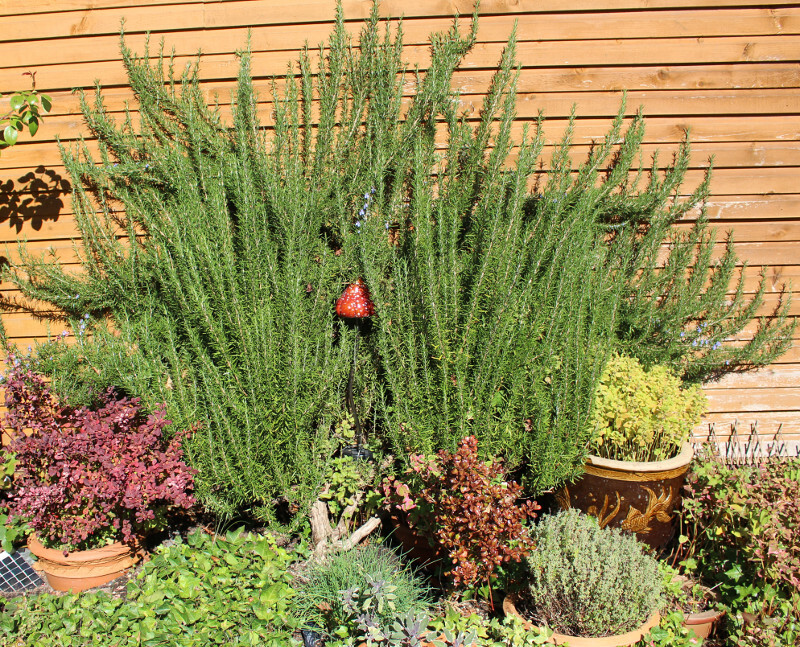 As with many Mediterranean plants, Rosemary copes well in drought conditions. Grey foliage: many plants with this characteristic have a covering of hairs that help to lower the temperature within the leaf, reduce moisture loss, and limit the drying effects of wind. 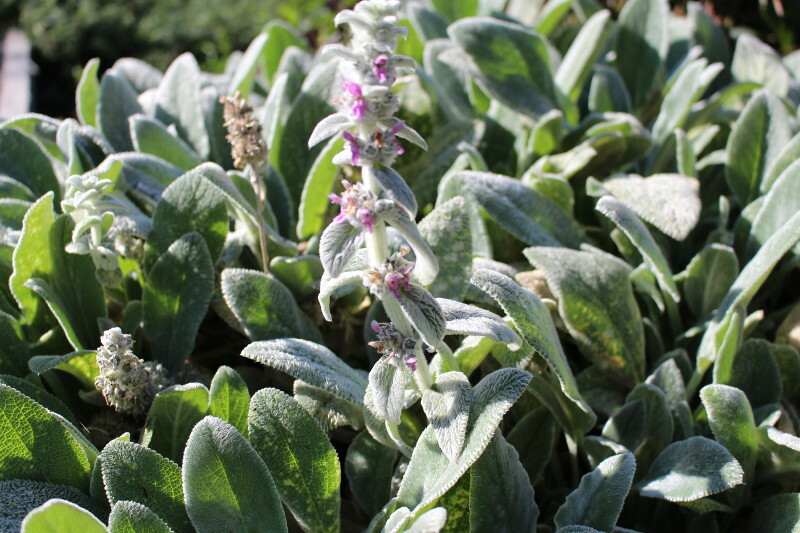 Lamb’s ear, with its soft, furry looking leaves, copes well with drought conditions. Waxy or leathery coating: to reduce moisture loss and limit the effects of wind. Blueish foliage often gets its tone from a waxy coating. 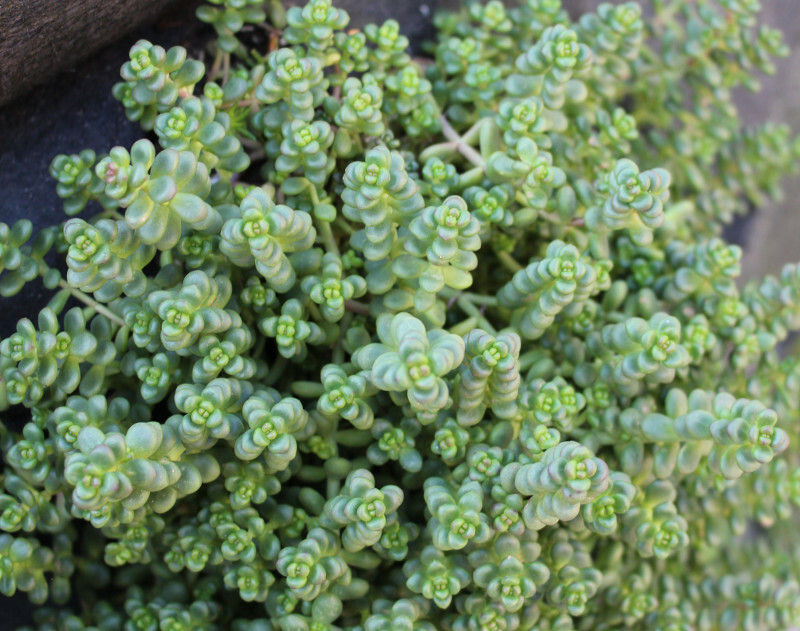 Fleshy leaves: succulents, such as Sedums, store water in their leaves. Long, deep tap roots: plants that have developed this characteristic are able to search for water at lower, cooler levels. Here’s a list of plants that were coping well at the end of July 2015, after several months of drought conditions. Of course, I don’t know how much or little each of these plants have been watered, but generally I have found that wherever I see these plants throughout the city, they are looking good. 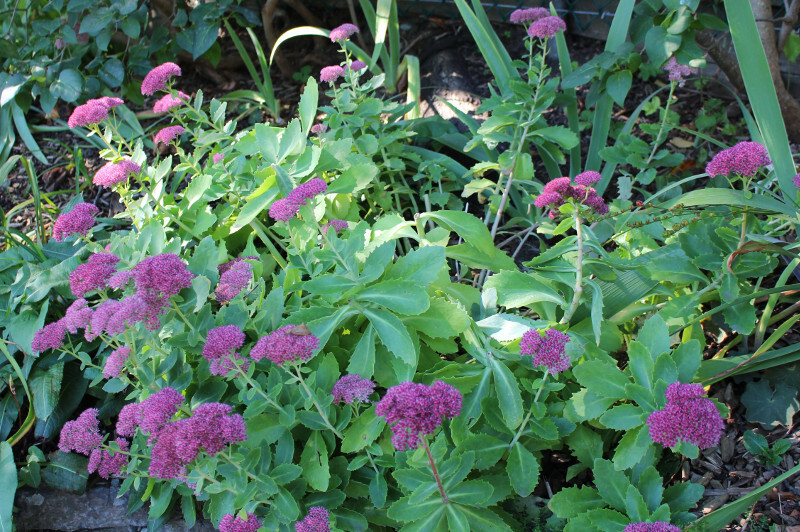 This clump forming perennial is a great choice for a drought tolerant garden. It holds water in its leaves and stems. 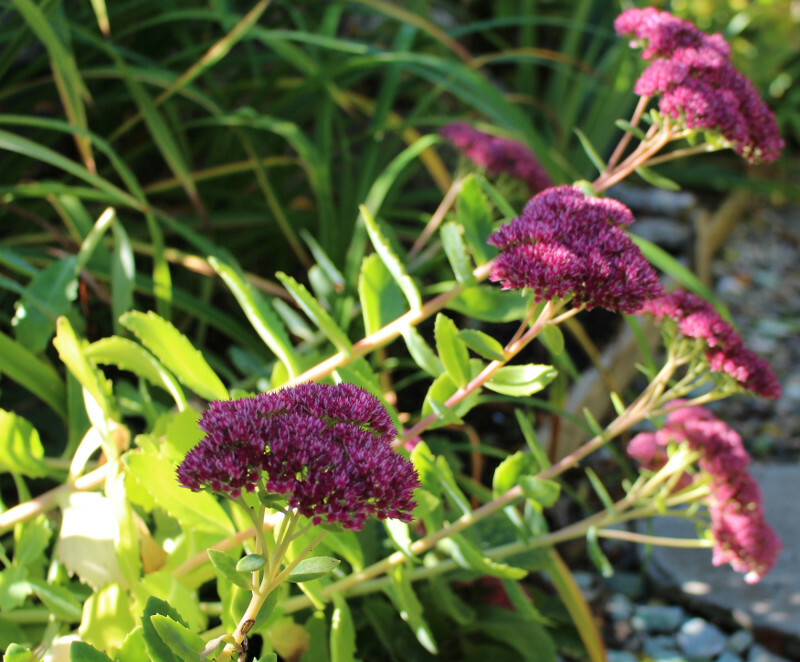 When other plants listed as drought-tolerant are starting to suffer, this sedum will still look healthy and happy. 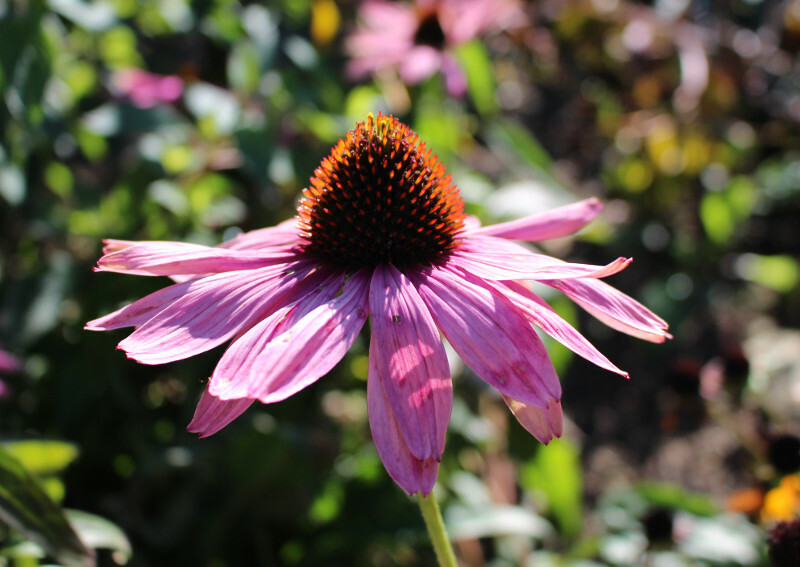 Pink blooms on flat flower heads at the end of summer. 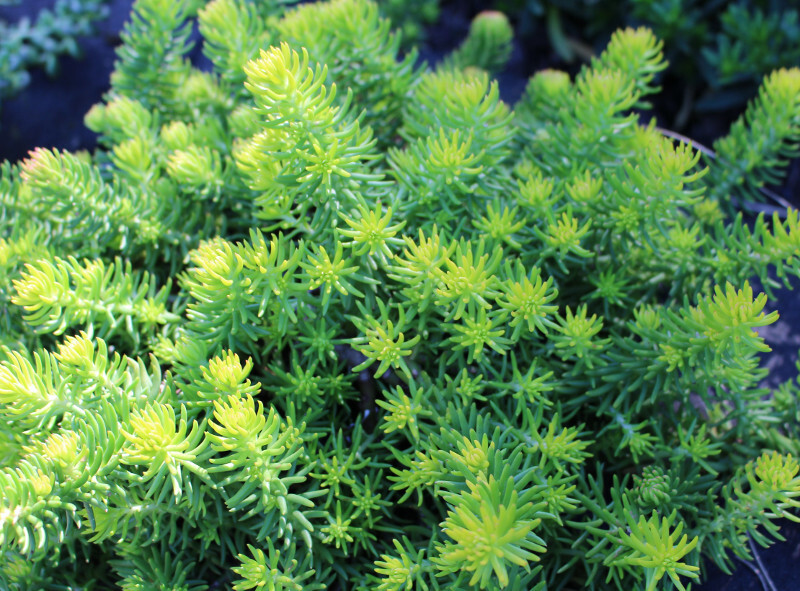 Like Sedum ‘Autumn Joy’ above, this ground cover sedum holds water in its tiny, waxy leaves. Angelina works well in rock gardens or planted as edging near paths. New growth is lime green, turning golden in summer, then bronze in winter. Soft, wooly grey leaves that are followed by spikes of pale pink flowers in summer. Works well in a gravel bed or perennial border. Bees loves this plant. Also a good choice in a children’s garden, where kids will love to stroke the beautifully soft leaves. This lavender’s grey, needle-like leaves make it a good choice for water conservation. Works well in mixed perennial beds, herb gardens or as a low hedge or path border. Loved by bees. The needle-like leaves of this herb cope well with drought conditions. Rosemary can be used in a herb garden, or as an informal hedge – it can easily reach 3 – 4 feet within several seasons. 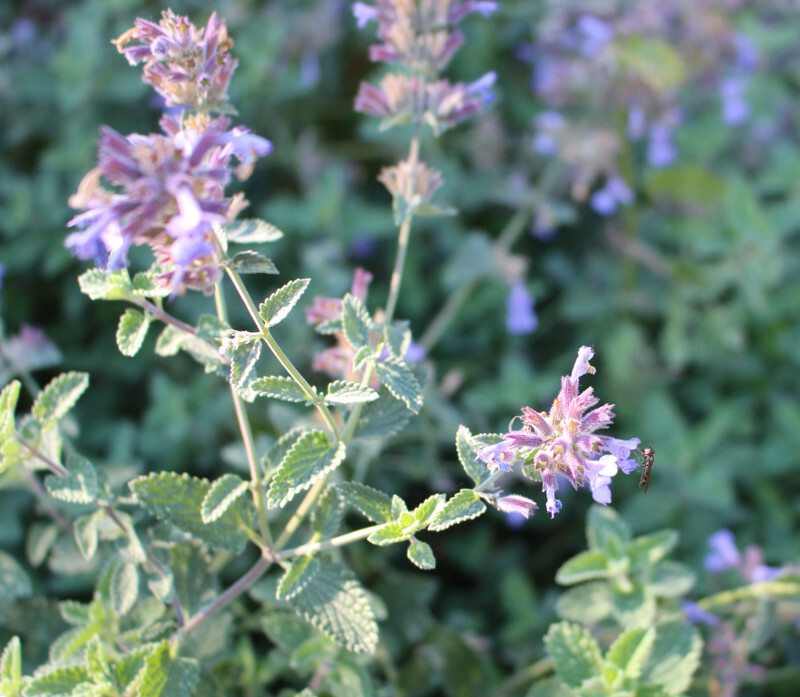 Many varieties have blue flowers along the stem which are loved by bees. Euphorbia comes in a wide range of colurs, from variegated green and white, to deep purple. Wulfenii has grey-green leaves and cupped flowers held in green bracts. If the stem is cut or broken it produces a milky sap which can be irritable to skin or eyes, so not aplant for a garden with children or pets. Adds colour to the garden in late summer. Pink daises with high, brown-orange domes. Easy to care for perennial. Blue-purple flowers, on upright stems, that will bloom more than once per season if cut-back after initial flowering. This plant is covered in bees when in bloom.